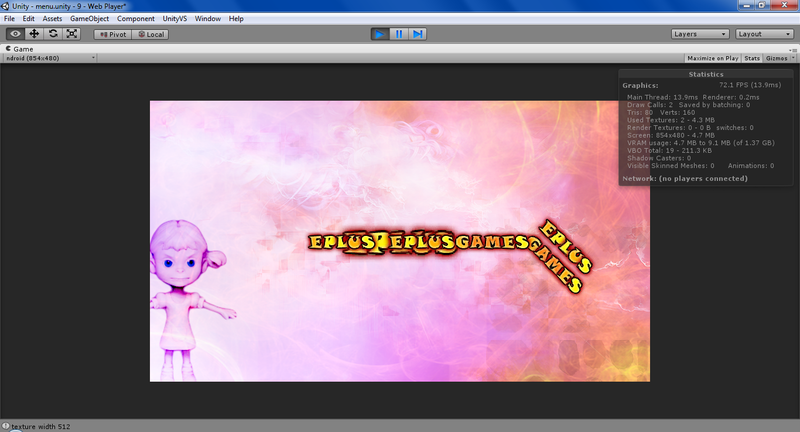 Unity has more then enough ways of text output. + the possibility to use TrueType fonts and primitive formatting. The next way is – 3dText. Its point is that it’s displayed on plane mesh, which allows to apply all of the transformations to any 3D object. Just like the GUIText it supports TrueType fonts and primitive formatting. The internet is full of various free and not free apps for different customization, including the support of the BitmapFont. This component has an interesting DrawCall behavior: creating a couple items doesn’t enlarge the DrawCall amount, but applying the transformations adds one for the each transformed item. If two objects have the same transformation parameters (for example, 45 degrees turn) they will share one DrawCall. If you’re rendering into the texture, which is a part of the texture atlas, it's more than likely that you won’t see the result. The thing is, it will be displayed with respect to the left lower corner of the whole atlas texture and not the sprite region, so be careful. During this search, I also found plenty of engines. Unfortunately, among the most popular ones only two are free Futile 2d and Orthello 2d. I didn’t probe deep into the matter, but I liked Futile more, as it sometimes reminds flesh) Another moment – all of the settings are made with a code (it’s much easier for me than to look where what and how to place something on a scene and what to drag where). In general, during the menu prototype creation, it’s much easier for me to work with this engine than with the new 2D functions of Unity 4.3, but I haven’t figured them out completely yet so the priorities may change. 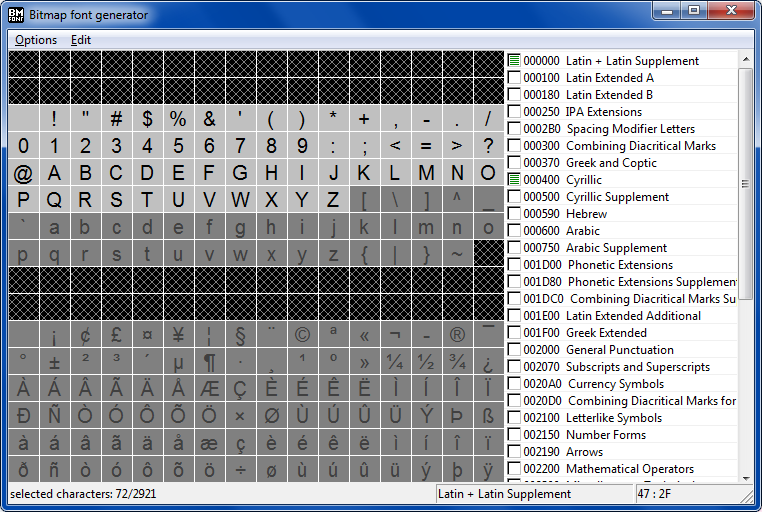 Futile 2D and Orthello 2D support text inscriptions with the usage of BitmapFont. The positive side of these fonts is that you don’t have to lose time on their visualization. 5. From this point your actions depend from the framework. In case with Futile it’s best to use the LoadFont function where you need to indicate the name of the sprite with the font and the path to text file with the font information in the Resources folder. + Pity that framework doesn't work with new features in Unity 4.3, I guess it fixes soon.